During the Kant Symposium in Novermber I began a small roots-and-branches doodle, that was itself a variation on a red ink doodle I did while grading oral exams the month before. Later in November I sat down at the Fair Trade Coffee House one evening, and—suffering from “doodler’s block”—sketched this, which incorporates the ideas explored in my previous doodle. 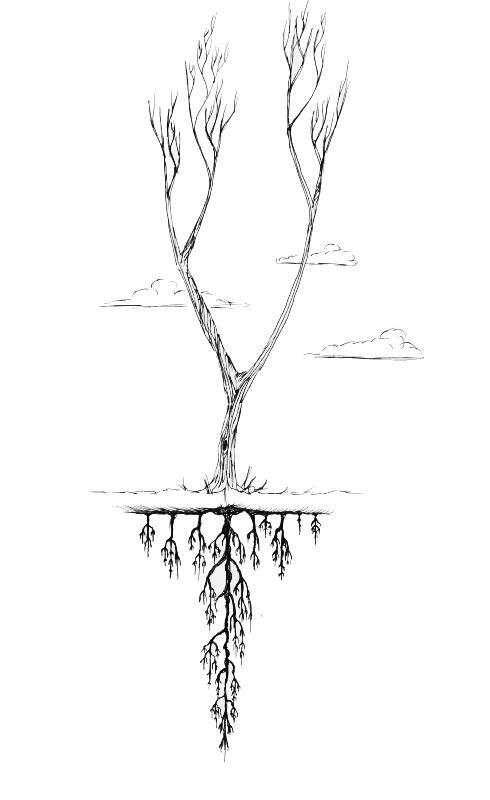 The idea that interested me was that of the difference between branches and roots. 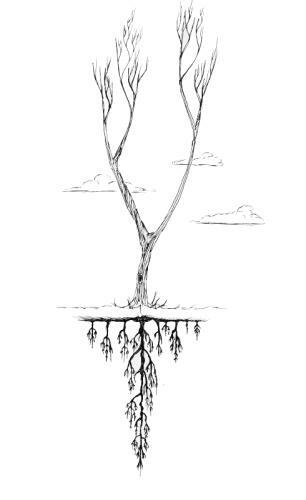 In this sketch they are systematically different; continuing with ideas from Kant, what is more interesting is where two self-contained and “rational” systems come together and are joined. 0.02mm felttip pen.